Ada soalan mengenai Sarova Stanley Hotel? 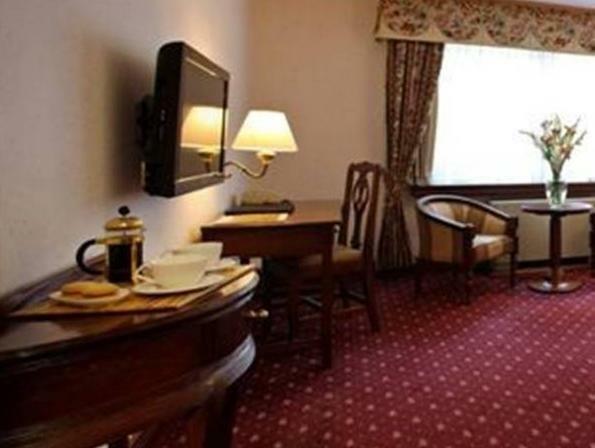 Terletak pada kedudukan yang baik di Central Business District, Sarova Stanley Hotel adalah tempat yang sesuai untuk memulakan lawatan anda di Nairobi. Terletak hanya 0.1 Km dari pusat bandar, para tetamu berada di lokasi sesuai untuk menikmati tarikan dan aktiviti di sekitar bandar. Tidak kurang hebat adalah akses mudah hotel untuk ke pelbagai daya tarikan dan mercu tanda bandar, seperti Galeri Watatu, Pusat Pawagam Cameo, Dallas Communications. Sarova Stanley Hotel menawarkan perkhidmatan yang sempurna dan semua kemudahan penting untuk menceriakan pelancong. Untuk keselesaan dan kemudahan tetamu, hotel ini menawarkan khidmat bilik 24 jam, Wi-Fi percuma semua bilik, fasiliti tetamu kurang upaya, Wi-Fi di tempat awam, tempat letak kereta. Suasana Sarova Stanley Hotel terpancar di dalam setiap bilik tetamu. televisyen skrin rata, internet wayarles (percuma), tab mandi pusaran air, bilik larangan merokok, penyaman udara hanyalah sebahagian daripada kemudahan yang boleh didapati di hotel tersebut. Hotel ini menyediakan kemudahan rekreasi yang baik seperti pusat kecergasan, kolam renang terbuka, rumah urut untuk membuat penginapan anda benar-benar tidak dapat dilupakan. Apapun alasan anda untuk melawat Nairobi, Sarova Stanley Hotel adalah tempat yang sempurna untuk percutian yang menyeronokkan dan menarik. The Sarova Stanley could not have provided better customer service for us. Both times we stayed (at the start and end of our safari) the staff were incredibly polite, friendly and helpful. We checked in quickly and the rooms were lovely, with thoughtful touches for our honeymoon. The 1902 lounge was wonderful and the staff up there were super: attentive, yet discreet. The evening buffet in the Lounge was delicious. 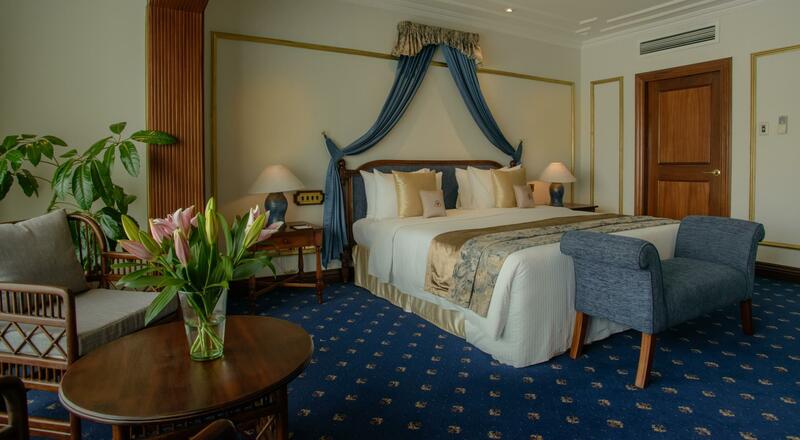 Highly recommended as a safe, convenient place to stay in Nairobi: a 5* experience. Old style Hotel with character. Liked the roof pool and steakhouse. The staff were very attentive and nice. I'd stay there again if looking in downtown area. I stayed in this hotel 40 years ago and was somewhat in a nostalgic mood to see if it had lost it's charm. Not only was I not disappointed but I was pleasantly surprised that in some respects it was better than my memories. My primary reason for this accolade was because the staff at the hotel was exceptional. From the doormen to the reception and the management it can only be stated that they were collectively 'more than a touch of class'. My first time. Always wanted to stay there due to the historical significance. I used the airport transfer which was greatly appreciated, and very efficient. They picked me up in a Mercedes sedan! 30 dollars. Bargain compared to chancing a taxi or other dodgy. The hotel is very nice. Rooms have been updated recently, but still maintain the historic feel. Room was large and comfortable. Staff is fantastic. Nothing is too much trouble. The only challenge is the central business district is not so safe anymore, so you can not go for an evening stroll. But they have a gym... Thorn Tree Cafe is great, also historic. This was Hemingway's hangout. Give it a try! Thank you to your many wonderful staff who made my stay truly the best part about my trip to Kenya. George collected me from the airport and was a consummate professional. Nicolette massaged away my stresses like magic. Everyone I came across in the hotel and restaurants was extremely gracious in their service and manner. They anticipated my every need and made my stay amazing. Thank you!! Third time staying here. Love that staff member Cecilia remembered me from last time that I stayed, and came up to me to say hi. Now that's personal service! Also love to finish my day in the steam room and sauna. Very comfortable hotel with good security. Absolutely brilliant - after 6 weeks in the bush it was nice to be in a Hotel with fantastic service. There was a misunderstanding with the Pick-up service and I was not picked up but they certainly made up for it in other ways to ensure I was satisfied during my stay. Would definitely return. 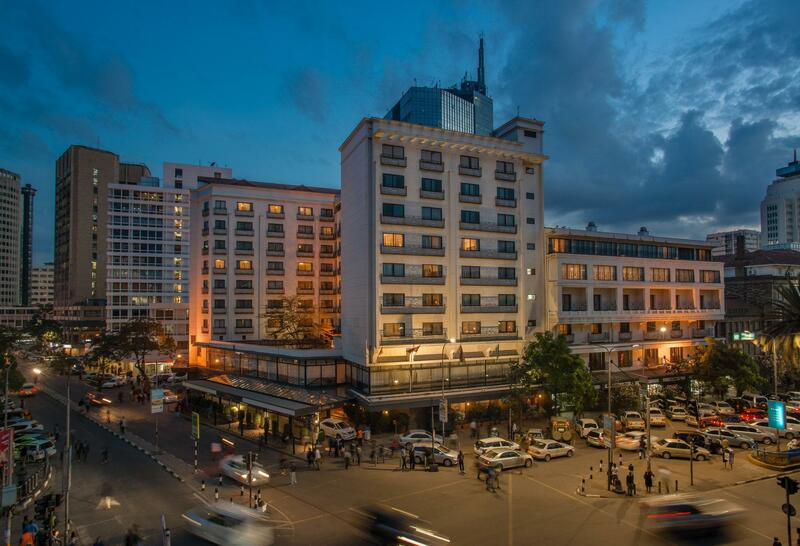 The hotel is centrally located in Nairobi and has a proud 100 years heritage. Staff were very efficient and courteous. Room was comfortable, but as with all heritage buildings, not always adaptable to new demands. 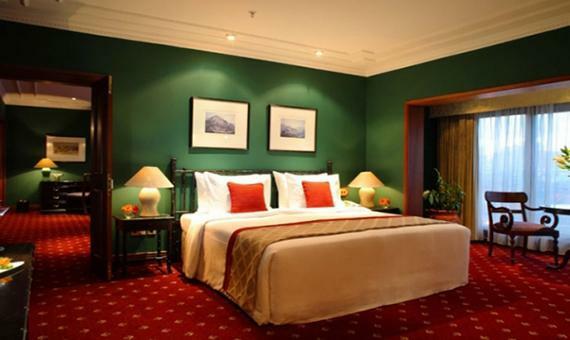 Perfect hotel for all sorts of travellers with amazing service from all staff. The decor, ambiance and history of the hotel will make you smile. Location - Service and food. Very pleasant stay and staff make you feel at home. Good location, but noisy outside at Saturday night until 4am. Difficult to lock windows. Difficult to turn off A/C. The facilities are old. Staff service was good, particularly calling a doctor for our son who had a serious stomachache. Room charge in pre-checkout document was in KES, but billed in USD at checkout. KES is better for our currency, but I didn't have much time to talk about this because of our flight approaching. Selection of currency should be by the guest, not by the hotel. If it was not for the fact that people feel Safe at anything named Sarova, I doubt many would choose this hotel. It is too expensive for what you get. And good services is not constituted by that slightly arrogant attitude some of the staff seems to think they are entitled to. Good gym. The hotel is in a good location. The rooms are a good size. The wi-if is very slow and you have to keep logging in, not what I would expect for a 5 star hotel. The food is good but very expensive and they add service charges for food and drink, even within the same meal. The gym and swimming pool are are very good and clean. All in all I had a good stay but this is not a five star hotel internationally. Needs to lift itself a bit to get there. Food in Thai restaurant was decent. The rest of the food was mediocre at best. Some of the staff are fantastic and others lack professionalism. It is not about a fancy dialect, but rather about providing actual service that matters to the guests. Skip the ego trip and get down to business. But all in all not a bad hotel. Good gym. Would visit again. The food is expensive compared with outside. The pool is good and the gym has a good variety of equipment, although some of it is dated and needs replacing. The security is adequate, but they check people come in with a scanner, but not the cases. This is a very weak area in their security strategy, and indicates the person scanner is just for show. The rooms were good and the breakfast very nice. It's in a good location.